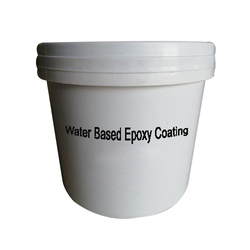 We are offering Epoxy Coating. We present the clients with top quality Solventless Epoxy Coating, This coating has extra tough, higher chemical & mechanical resistance properties. 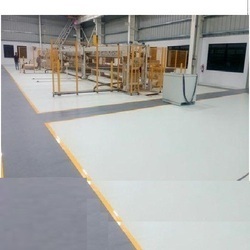 Backed by experience in this domain, we are presenting the wide array of Epoxy Coating Services to our valuable clients. The provided services are demanded its timely completeness, perfect coating, and high performance. Apart from this, our customer can avail these coating services from us in different plans. Coating system packages:- we design as per customers usage Area to suit specific requirements. System:-1MM, 2MM, 3MM, 4MM, 5MM up to 10MM. We are a well known name, involved in providing a wide array of Epoxy Coating to the customers. These products used widely on floor and wall surface. It gives higher abrasion resistant to surface. It is very easy to clean and wash.
APURVA , CHEMBOND , SIKA , FOSROC , CIPY , All standard brands epoxy / PU floorings available.